What is Non-Invasive Body Contouring? 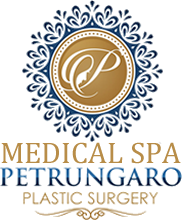 The Medical Spa at Petrungaro Plastic Surgery is now open! Find a new menu of Spa Services performed by Doctor Petrungaro including Dermal Fillers & Dysport plus Aesthetician Spa Services including Facials, Peels, Microneedling and more. Also, try our new non-comedogenic skin care products that can be incorporated into your existing skin care regimen. Our products, including acne packages, hydration packages and combination skin packages, are made in the USA and offer gentle yet effective productivity, allowing them to be used on all skin types. Are you looking to slim down your trouble areas but don’t have the time for surgery? Are you looking to gain the advantages of surgical procedures such as liposuction but don’t want to deal with incisions, pain, and time off work? If so, you may be a candidate for non-invasive body contouring. This exciting concept uses FDA-approved machines to destroy fat cells, reduce cellulite, tighten skin, and take inches off areas such as your waist. The most advantageous aspect of these treatments are that they are pain-free, incision-free, and they require no down time whatsoever. In fact, you can even have these treatments done on your lunch break! If this sounds good to you, then it is time to consider non-invasive body contouring with board certified Plastic Surgeon Doctor Jason Petrungaro, who will be happy to help you achieve the body contours you have always wanted. Considering non-invasive body contouring in NW Indiana and Chicago? Non-invasive body contouring is a safe and effective procedure if it is performed by board certified Plastic Surgeon Doctor Jason Petrungaro and his highly trained staff. Beware of other physicians posing as body contouring specialists, for they lack the training and the insight to achieve the results patients want. Much more than just turning on a machine, non-invasive body contouring requires extensive training and a subtle touch to produce beautiful, smooth results. Residents of Northwest Indiana and Chicago who are considering non-invasive body contouring should choose Doctor Jason Petrungaro, a board certified Plastic Surgeon who is skilled in this procedure and is dedicated to achieving the specific body contours you agreed upon in the preoperative consultation. Non-invasive body contouring refers to the process of treating fatty deposits, cellulite, and loose skin on the body using FDA-approved machines to destroy fat cells, break up cellulite, and tighten skin. These treatments are done in the office and require no incisions, hence the term “noninvasive.” The treatments are pain-free, scar-free, and require no noticeable healing time or time away from work or family duties. There are many different options on the market, but only a few machines can reliably and legitimately deliver these results. Petrungaro Plastic Surgery is proud to offer the most innovative and reliable machine available today, the VelaShape. What is the difference between non-invasive body contouring and traditional surgery? Traditional body contouring surgeries such as liposuction, tummy tucks, and thigh lifts all require incisions. This is what makes them “invasive.” Traditional surgeries also produce wounds that need to heal, scar tissue that needs to fade, and they require anywhere from a few days to a few weeks off work or away from family duties. As mentioned, non-invasive body contouring procedures can be done in the office and do not include any of the side effects mentioned for traditional surgery. What areas can be treated using non-invasive body contouring? Who is a candidate for non-invasive body contouring? It is important to realize that, much like liposuction, non-invasive body contouring procedures do NOT result in significant weight loss. They are procedures designed to contour the body. Do not expect to lose a certain number of pounds after non-invasive body contouring. It is not intended to and does NOT treat obesity; however, it can be a solution that addresses unsightly fat deposits, loose skin, and cellulite in specific body areas that just won’t go away no matter how hard you work. Velashape – The VelaShape works through a combination of light vacuum suction coupled with infrared and radio frequency heat generation to achieve skin tightening, cellulite reduction, and some mild fat reduction. The infrared light heats the tissues up to 3 millimeters in depth, the radio frequency heats tissue up to 15 millimeters in depth, and the vacuum system ensures precise delivery of energy. The combination of infrared and vacuum-coupled radio frequency technologies causes deep heating of the fat cells, their surrounding connective fibrous septa (cellulite), and the underlying dermal collagen fibers. The end result is skin tightening, cellulite reduction, and fat reduction. VelaShape’s optimal electrode design coupled with vacuum allows for deeper and faster heat penetration. This in turn increases circulation, lymphatic drainage, cellular metabolism, and collagen depositing. In addition, extracellular matrix is remodeled due to the stimulation of fibroblast activity. The result: a localized circumference reduction and an overall improvement in skin structure and texture*. Are you a Chicago resident seeking non-invasive body contouring? Why choose non-invasive body contouring with Doctor Jason Petrungaro? 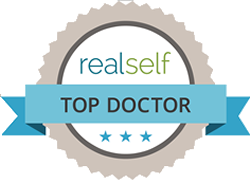 Doctor Petrungaro is a board certified Plastic Surgeon who has successfully completed extensive training in all aspects of non-invasive body contouring. 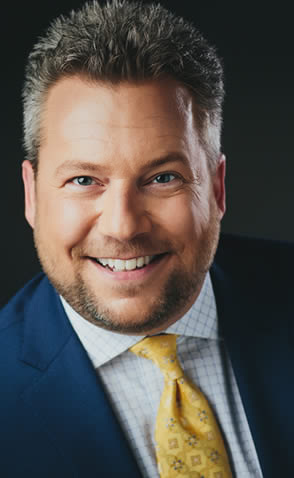 He is well versed in the latest and most innovative techniques in non-invasive body contouring, and he is the exclusive owner of the only VelaShape machine in northern Indiana and the south suburbs of Chicago. He listens to his patients and respects their goals and wishes, and will always go the extra mile to deliver the most beautiful results possible. If you are searching for a Plastic Surgeon who can provide you with noticeable results from your non-invasive body contouring procedures coupled with the highest standards of patient safety and care, NW Indiana and Chicago non-invasive body contouring surgeon Doctor Jason Petrungaro will be happy to consult with you and help you achieve that slimmer, healthier look that you have been seeking! If you are interested in non-invasive body contouring and have questions or concerns, please feel free to call Doctor Jason Petrungaro at (219) 836-1163 or click to schedule a consultation online.